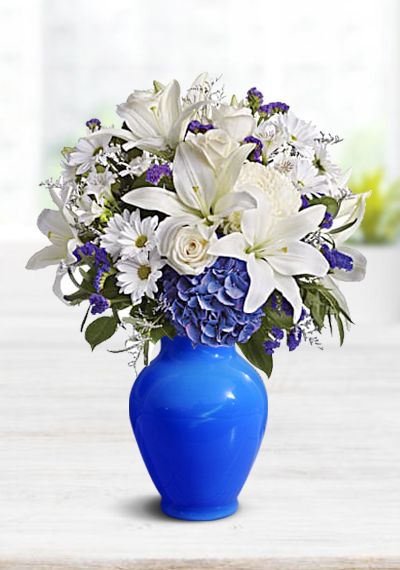 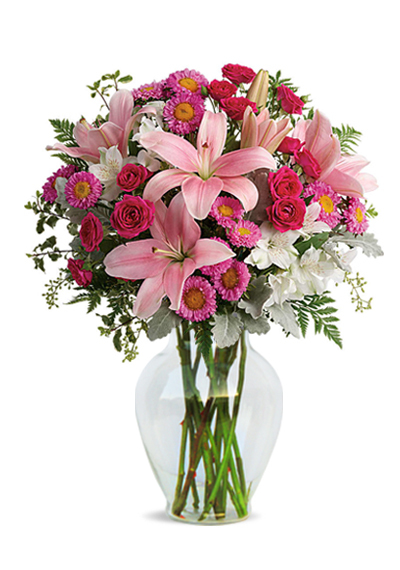 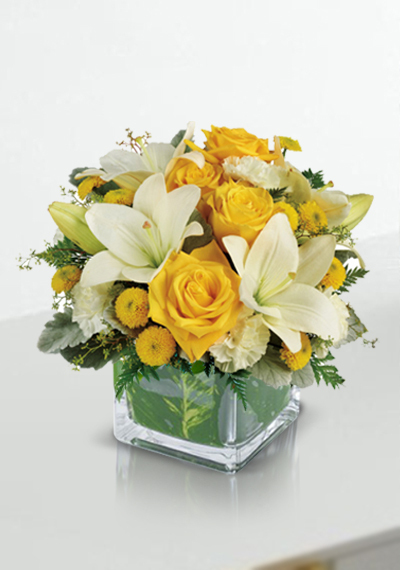 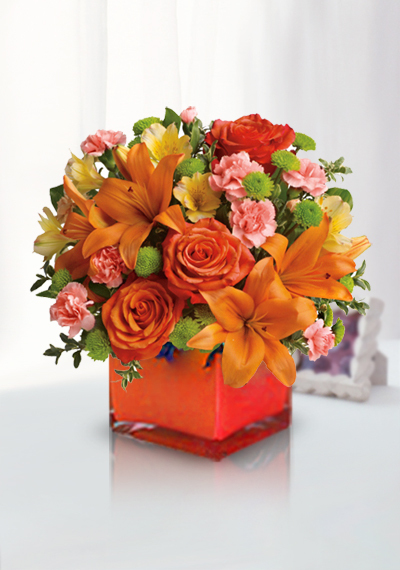 The Garden Walk Bouquet is an exquisite expression of natural beauty and grace. 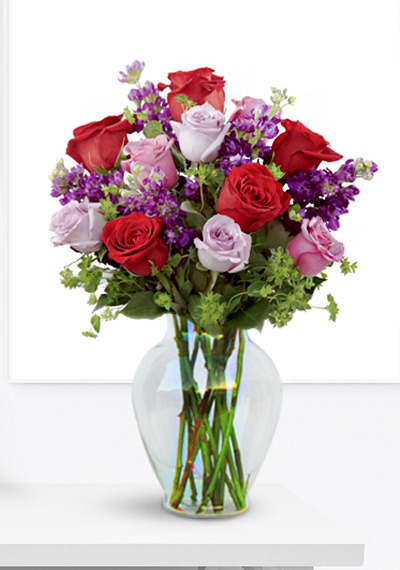 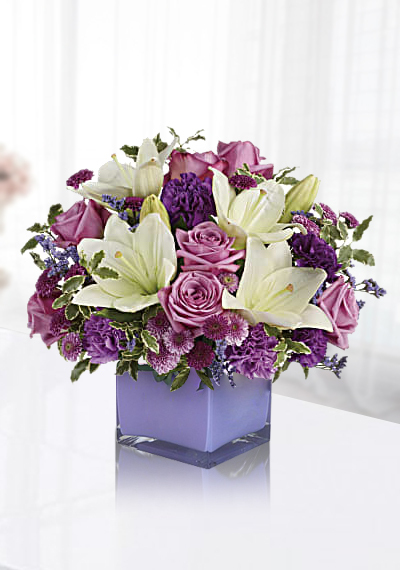 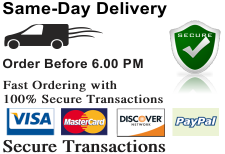 Assorted lavender roses, rich red roses, purple stock and lush greens have a fresh look of floral elegance. 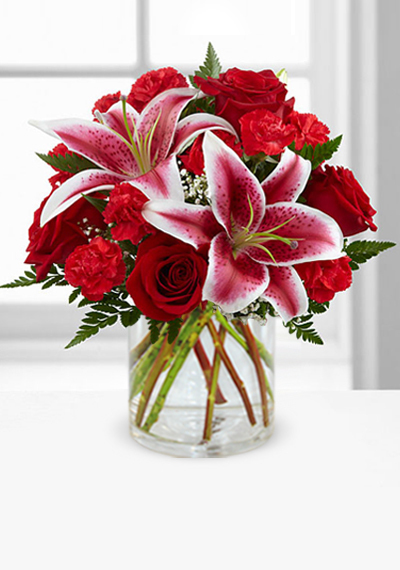 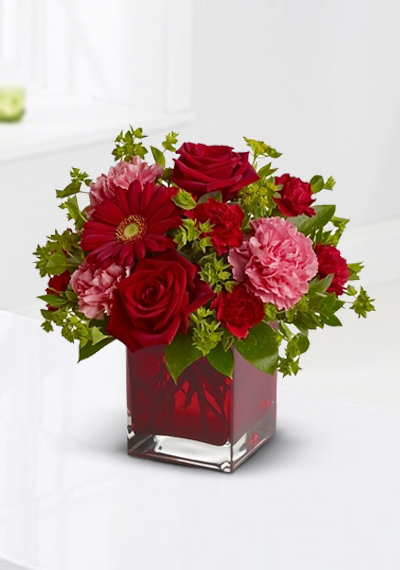 Flowers are presented in a modern clear glass vase to create a sweet sentiment ideal to celebrate any of life's special moments.